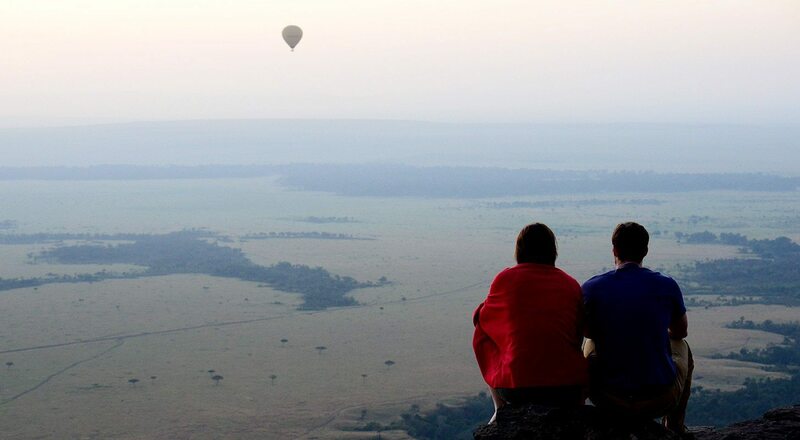 Share endless views over Kenya‘s Masai Mara with raptors and hot-air balloons from the luxurious Angama Mara, high above the Great Rift Valley. 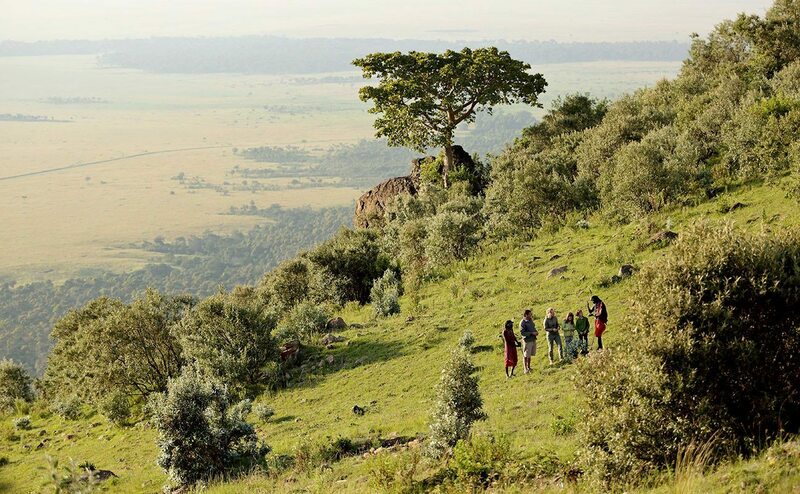 Indulge in the scenery, the food, beading lessons and guided walks and safaris, or picnic at the very spot where Out of Africa was filmed. 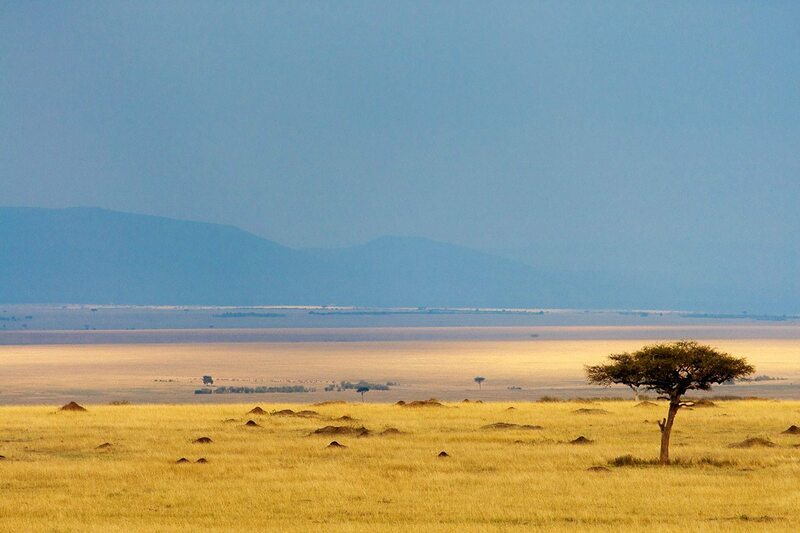 I look out over the plains of the Masai Mara, which seem to stretch to infinity. From my perch at Angama Mara, a luxury Kenyan safari lodge on the edge of the Oloololo Escarpment, I can see herds of wildebeest migrating across the plains. At about 300m above the Great Rift Valley, I feel like I’m suspended in the air. 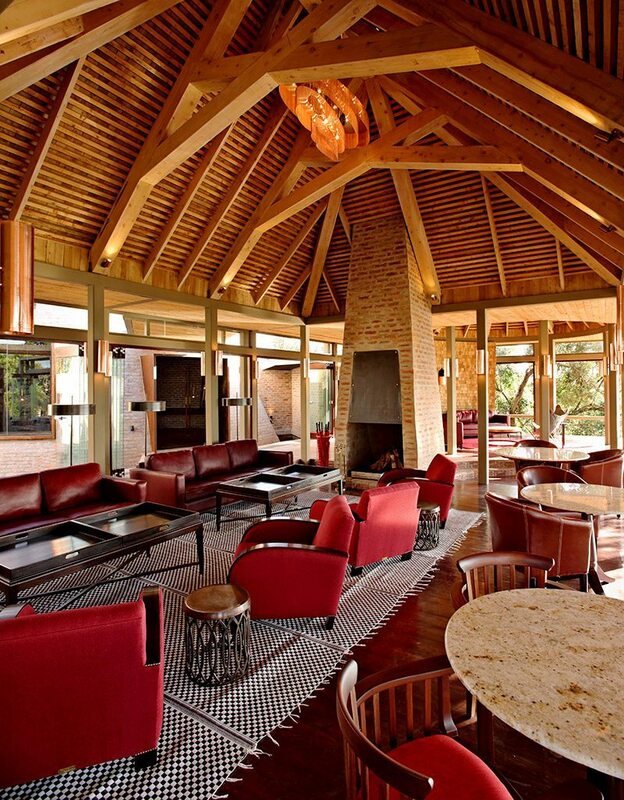 The lodge has been aptly named, as ‘angama’ in Swahili means just that: hanging in midair. It’s appropriate for a lodge with 30 tented suites clinging to the escarpment, with 180-degree views of the Masai Mara below. There’s something about being in the bush that’s like a sleeping pill – a panacea for the soul. I’d slept so well I didn’t hear my butler bring the coffee in; it was the aroma that roused me. I’m lying in my king-sized bed, contemplating getting a closer look at the view, when I see the first hot-air balloon drift by. It’s one of the activities we’ll be doing tomorrow, as we only flew into the lodge’s private airfield late last night. I quickly nudge my partner who sits up, equally spellbound at the serene scene through the floor-to-ceiling glass windows.We grab our coffees and sit on the massive deck, feeling like we’re on the edge of the world. I start imagining the morning rituals of the wildlife below us, just 15 minutes down the private access road. The high-pitched whistle of a raptor brings me back to the present, and I realise I need to get ready for our breakfast picnic. After ambling across polished parquet floors into the adjoining bathroom I decide to enjoy the expansive shower; I’ll save the roll-top bathtub for a pre-dinner soak tonight.A short walk later and we’re at the top of an undeveloped hill, the exact spot where Meryl Streep and Robert Redford sat in the movie poster for Out of Africa. A flat rock has been covered in blankets and cushions and laid out with a champagne breakfast. I can’t imagine a more romantic scene. We look out over the Masai Mara in all its immensity, and spot a journey of giraffes, breakfasting in the forest beneath us. Much like the author of Out of Africa, Karen Blixen, I think, ‘Here I am, where I ought to be’. There’s something about being in the bush that’s like a sleeping pill – a panacea for the soul. I’d slept so well I didn’t hear my butler bring the coffee in; it was the aroma that roused me. I’m lying in my king-sized bed, contemplating getting a closer look at the view, when I see the first hot-air balloon drift by. It’s one of the activities we’ll be doing tomorrow, as we only flew into the lodge’s private airfield late last night. I quickly nudge my partner who sits up, equally spellbound at the serene scene through the floor-to-ceiling glass windows. We grab our coffees and sit on the massive deck, feeling like we’re on the edge of the world. I start imagining the morning rituals of the wildlife below us, just 15 minutes down the private access road. The high-pitched whistle of a raptor brings me back to the present, and I realise I need to get ready for our breakfast picnic. After ambling across polished parquet floors into the adjoining bathroom I decide to enjoy the expansive shower; I’ll save the roll-top bathtub for a pre-dinner soak tonight. A short walk later and we’re at the top of an undeveloped hill, the exact spot where Meryl Streep and Robert Redford sat in the movie poster for Out of Africa. A flat rock has been covered in blankets and cushions and laid out with a champagne breakfast. I can’t imagine a more romantic scene. We look out over the Masai Mara in all its immensity, and spot a journey of giraffes, breakfasting in the forest beneath us. Much like the author of Out of Africa, Karen Blixen, I think, ‘Here I am, where I ought to be’. 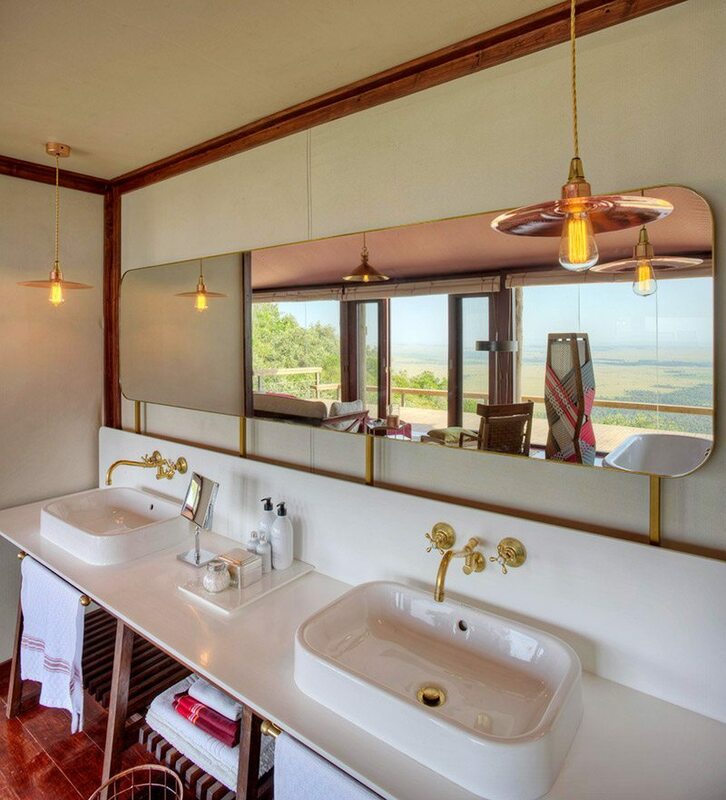 The views are more than enough to inspire the poet in me, but Angama Mara has more to offer than its (admittedly gorgeous) setting. No detail is overlooked. Electric blankets are switched on when the beds are turned down, a big blanket and binoculars are left by the couch in your room and pre-stamped postcards are placed on the desk.The food, which is excellent, is also paired with some of the most beautiful locations. We dined in the bush during game drives, at communal tables in the restaurant, at a lantern-lit barbecue in the forest and above the plains on one of the most memorable picnics I’ve ever had. 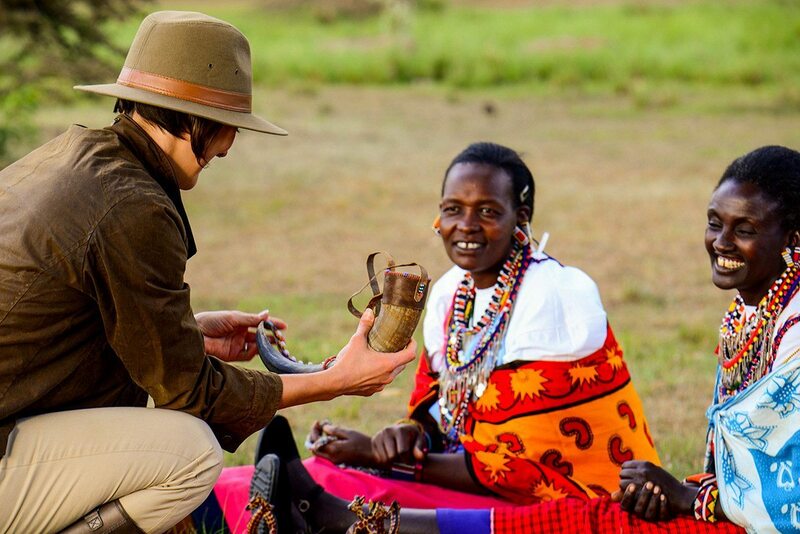 I also loved learning from the Maasai – the men who had an encyclopedic knowledge of the Masai Mara, and the women who taught me beadwork; rather than just buying something as a souvenir, I was shown how to create my own bracelet. It will always remind me of Angama Mara. 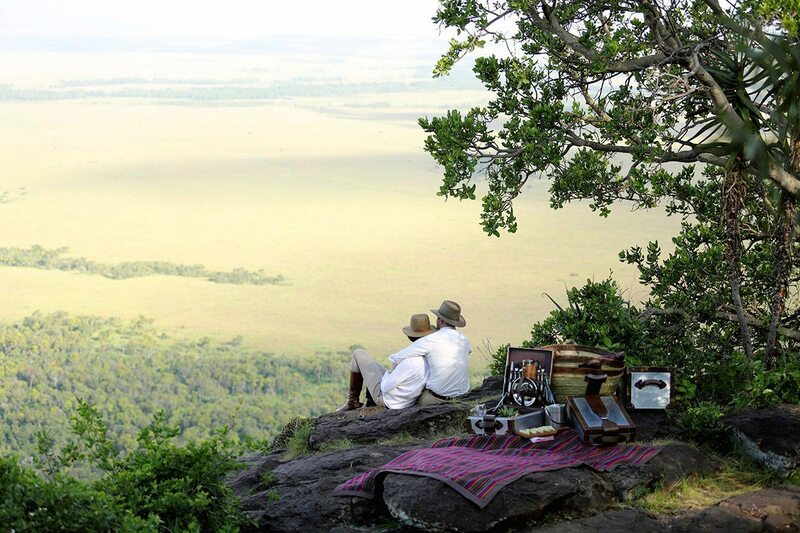 The views are more than enough to inspire the poet in me, but Angama Mara has more to offer than its (admittedly gorgeous) setting. No detail is overlooked. Electric blankets are switched on when the beds are turned down, a big blanket and binoculars are left by the couch in your room and pre-stamped postcards are placed on the desk. The food, which is excellent, is also paired with some of the most beautiful locations. We dined in the bush during game drives, at communal tables in the restaurant, at a lantern-lit barbecue in the forest and above the plains on one of the most memorable picnics I’ve ever had. I also loved learning from the Maasai – the men who had an encyclopedic knowledge of the Masai Mara, and the women who taught me beadwork; rather than just buying something as a souvenir, I was shown how to create my own bracelet. It will always remind me of Angama Mara. Luxury safari lodge split into two camps with 30 glass-fronted tented suites, 300m above the Masai Mara where Out of Africa was filmed. Gym and pool on site. Private tarred airstrip, butler service, in-room binoculars, maximum six guests per safari vehicle, private vehicles available (additional cost), late-departure room at the pavilion and opportunities to see the Great Wildebeest Migration. 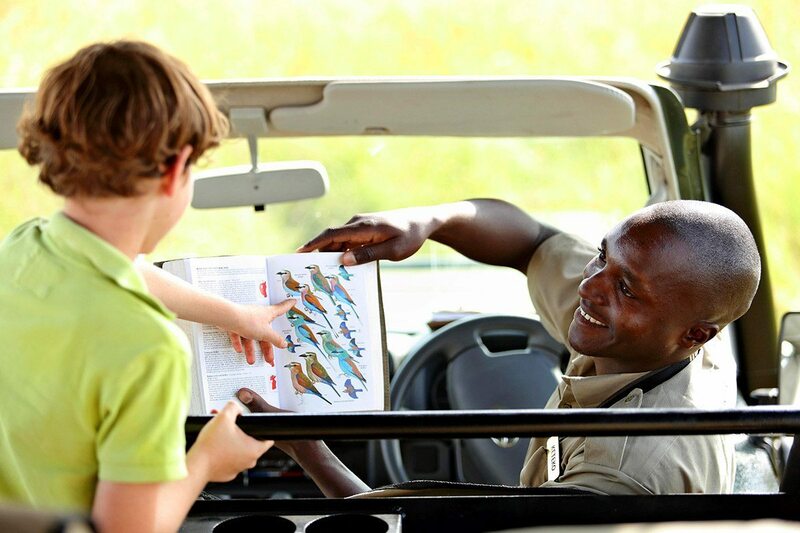 Game drives, night drives, walking safaris, private picnics at the iconic Out of Africa spot, bush barbeques, hot-air ballooning (additional cost) and cultural visits (additional cost). Four family suites on offer, and other tents can accommodate extra beds. Children from six years are welcome, lots of children’s activities and babysitting is available. 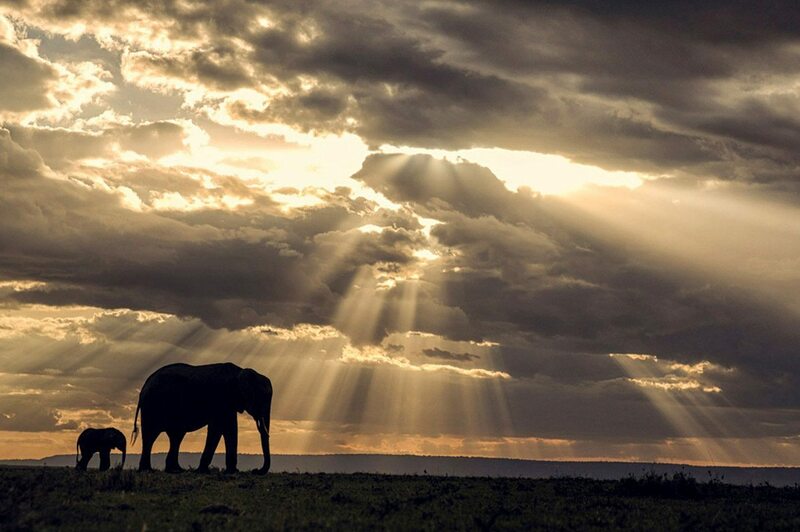 This is the most popular time to visit the Masai Mara, and for good reason. The Great Wildebeest Migration returns from the Serengeti from July to September, and at its peak the plains of the Masai Mara are covered with the animals as far as the eye can see. 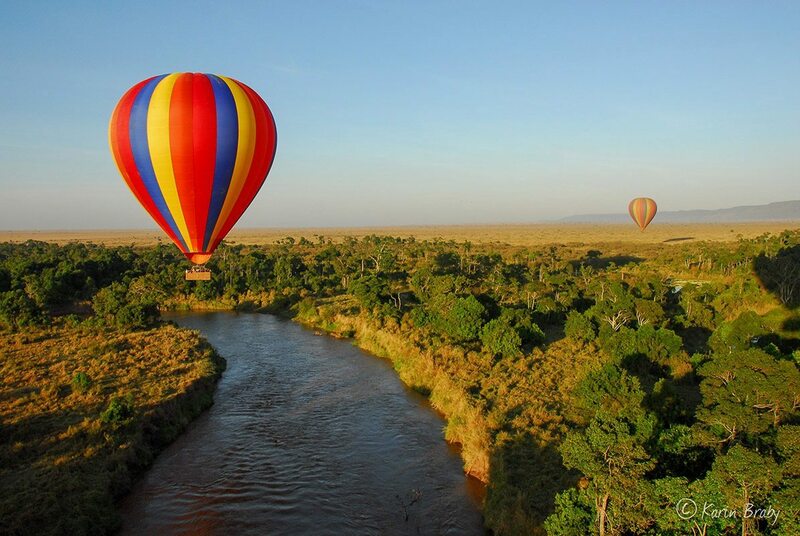 You’ll also get to witness a Mara River crossing at this time – an awe-inspiring experience. 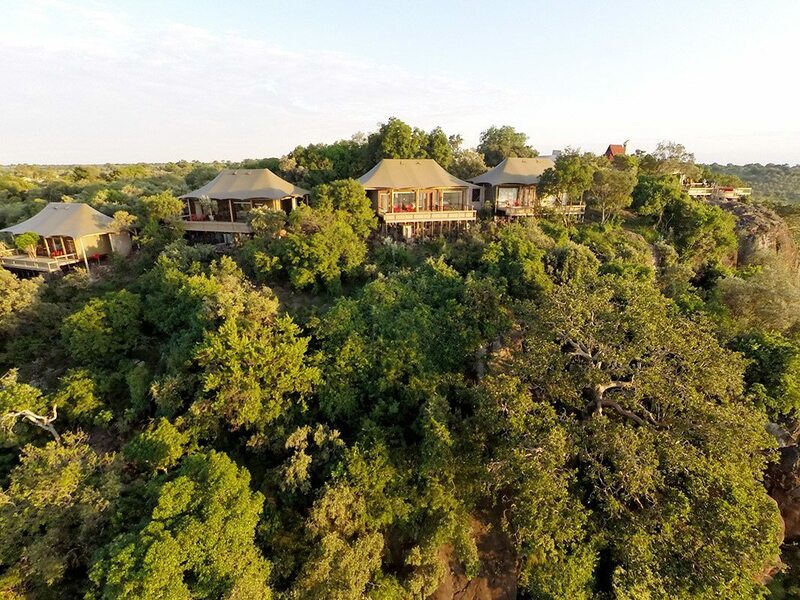 While it can get somewhat crowded, there are many luxury properties in private conservancies that offer greater exclusivity. The weather also plays along now, being dry and cool, perfect for game drives. As it dries out after the short rains in November, large herds of resident game and predators congregate closer to the Mara River and other water sources during these months. This, combined with thinning vegetation and fewer visitors, makes for exceptional game viewing, comparing favorably with safari experiences across Africa – despite that the Great Wildebeest Migration has moved on by now. To combine exclusivity with the migration, merge a Masai Mara safari now with a visit to the Serengeti, where the migrating herds will be. The Masai Mara’s long rains, which fall steadily throughout April and May, are followed by short rains in November – generally quick afternoon bursts. While muddy roads can make getting around an adventure, as it’s a quiet time for tourism wildlife experiences are highly exclusive. As the vegetation is in a growth period, the game is easy to see too. All in all visitors get good-value holidays during this time, provided they pack their sense of humour (and their gum boots! ).